Product prices and availability are accurate as of 2019-04-20 23:29:10 EDT and are subject to change. Any price and availability information displayed on http://www.amazon.com/ at the time of purchase will apply to the purchase of this product. End Brush, Brush Dia. 1 In., Shank Size 1/4 In., Wire Dia. 0.010 In., Bristle Trim Length 1 In., Fill Material Carbon Steel, Max. RPM 22,000, Overall Length 2-3/4 In. 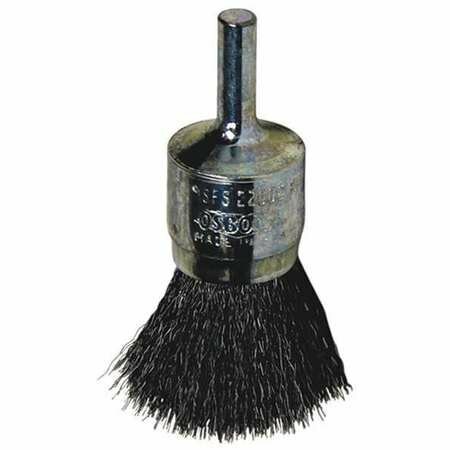 For Use With: Portable Air and Electric Tools, Cnc and Robotic Equipment Item: End Brush Fill Material: Carbon Steel Brush Dia. : 1" Trim Length: 1"